Whitney Museum of Art / Little, Brown & Company. PERFECT PAPERBACK. 0821217860 New Condition. . New. Whitney Museum of Art / Little, Brown & Company. PERFECT PAPERBACK. 0821217860 Like New Inside & Out. Clean & Crisp! No markings. You will be pleased. Excellent book! ( z1s07 ) Some minimal shelf wear on cover. ** Fast Shipping! ** . Fine. New York, NY: The Whitney Museum of American Art. 1988. Softcover. VG, some edge wear, light soil to edges; Wonderful photography. ; Softcover; 4to; 216 p.; No DJ . 1990-09-04. Good. Ships with Tracking Number! INTERNATIONAL WORLDWIDE Shipping available. May not contain Access Codes or Supplements. May be ex-library. Shipping & Handling by region. Buy with confidence, excellent customer service! 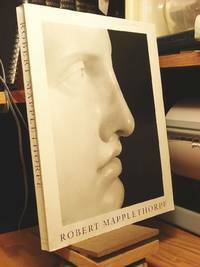 New York, New York, U.S.A.: Bulfinch Press, 1990. Clean and tight. VG+, trade paperback. Large and heavy, additional postage required.. Second Printing. Soft Cover. Very Good +. 4to - over 9¾" - 12" tall. London:: Martin Secker & Warburg,, 1988. First edition. Cloth. NEW in Fine DJ. Small tear at bottom of front of DJ. Signs of wear on both sides and slight scratches on back of DJ. Boston:: Little, Brown (Bulfinch Press),. Very Good. 1990. Paperback. 0821217860 . Color and black and white photographs throughout. Second paperback printing. Very good or better in oversize pictorial wraps. .